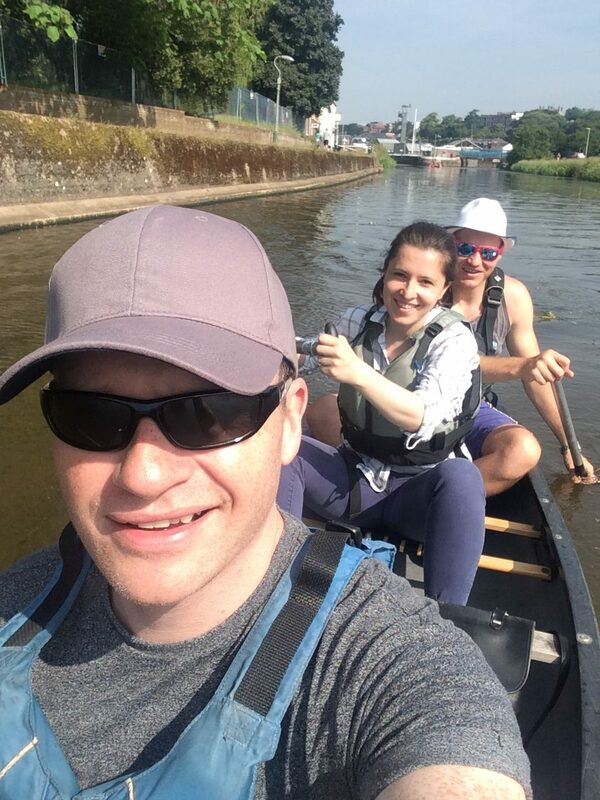 James and Joe with David Hawes of DHUD paddling towards Turf Locks for lunch. 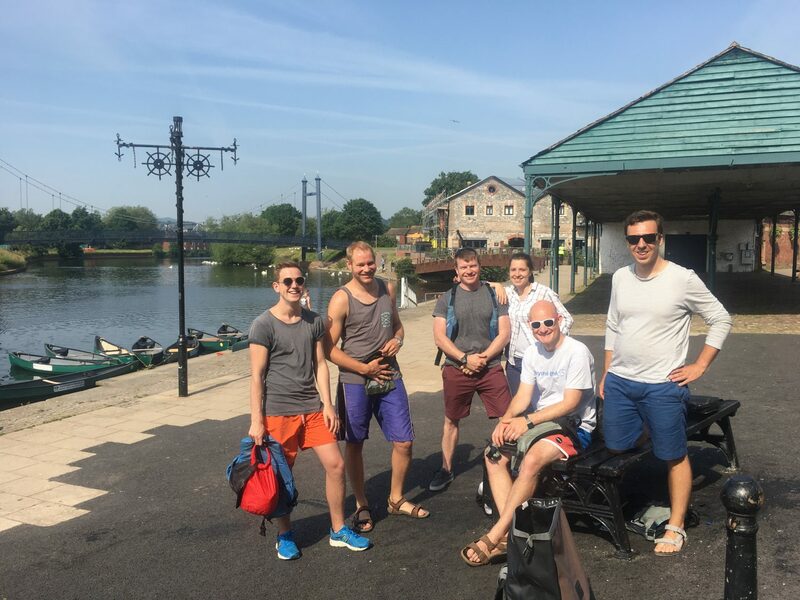 We feel teamwork is an important part of our business and try to organise regular days out and other activities in and around Exeter for out team of architects. 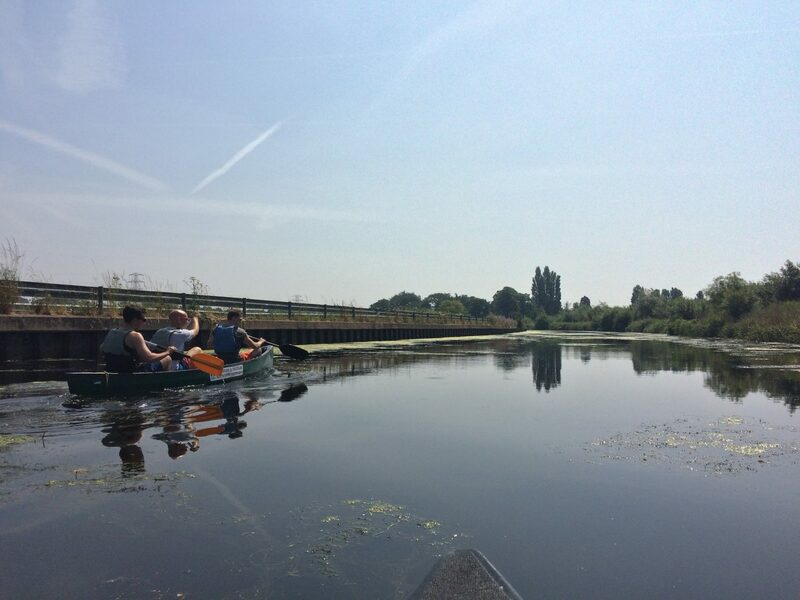 This week we hired two Canoes from Saddles and Paddles and took a trip down the Historic Exeter Canal to Turf Locks for lunch. It turned out to be quite an expedition and we were all pleased to get back to Exeter Quay for more refreshments at the end of the day. When we reached the Double Locks on the edge of Exeter before opening time I think everyone thought it was going to be a gentle day out but the second leg of the journey was quite hard work especially under the hot sun on one of the warmest days of the year. You can see the route we took here. Great scenery and nice to see some friendly faces. It’s always nice to arrive at the Turf Locks which is one of our favourite destinations. Clive and his team always provide a warm welcome and the food is delicious and good value. Last year we helped the Turf gain planning permission for a new holiday lodge building that we hope to be involved in the construction of over the next winter period. We all enjoyed a few beers and ciders in the garden before reluctantly taking back to the boats for the trip back to Exeter. 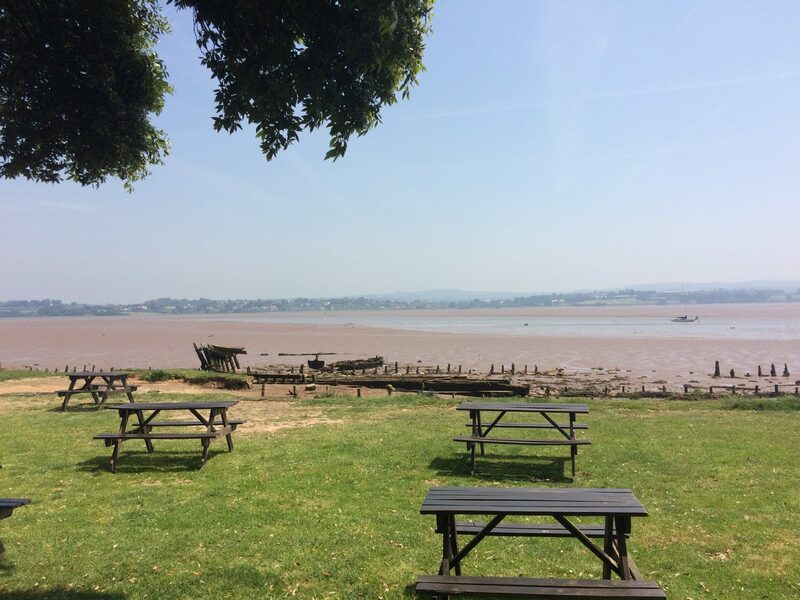 The Turf offers great views of the Exe Estuary towards Tophsam, Exton and Lympstone. The Holiday accommodation we have designed makes maximum use of the views looking out over the water. After a long slog back to Exeter we enjoyed a few drinks on the quayside before sitting down for some dinner at the Puerto Lounge, part of our successful Kennaway Mixed Use project on Exeter Quay. It was very rewarding to enjoy a meal in the building as a team after all the hardwork and thought that has gone into the architecure of the project over the last couple of years. We even got a guided tour of the first floor apartments.